Every year foxes commit untold damage to thousands of homes and gardens not only by fouling and digging up bulbs and vegetables but by building their earths in and around sheds, cellars, decking, drains and houses or even drains or lofts. Given an open window or doorway they will brazenly steal not just food but any item that takes their eye including clothes and children's toys. Foxes are natural born killers - even when they are not hungry they will instinctively kill any small domestic pet or wildlife including rabbits, guinea pigs, small birds, ducks, chickens and fish as a matter of course. A stoutly built cage is no guarantee of defence against a determined fox. Foxes carry and spread many diseases harmful to man and other animals including Weils disease (leading to possible organ damage/ failure); Toxacarisis (causing blindness in children) and Sarcoptic Mange which is easily transmitted to domestic dogs causing skin irritation, loss of fur, possible death and expensive vets bills. 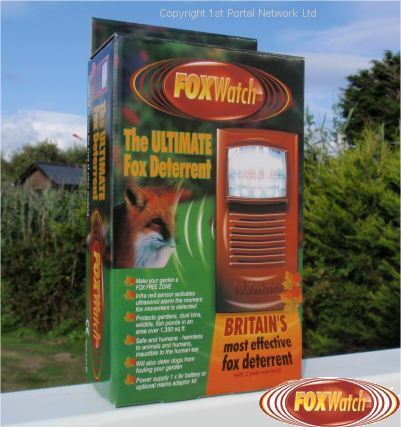 Foxes also continually mark their territory with scent, urine and faeces presenting a considerable health risk to adults and children alike.